It seems that Amazon have given the world online supermarkets in the UK a bit of a shake-up recently. They already have their online grocery services - Amazon Pantry and Amazon Fresh, and have recently acquired the health food chain, Wholefoods. There was also a deal made with the British supermarket chain, Morrisons, all of which clearly showing one of the directions that Amazon were wanting to take their business. As a result of these leaps forward from Amazon, other supermarkets are having to step up to the mark, particularly with regards to their online services and it is this which has led to Tesco`s announcement that they are planning to introduce a one hour delivery service. The majority of those who buy from online supermarkets buy their weekly, bi-weekly or monthly grocery shop online, popping round to the supermarket sometimes for fresh ingredients, unplanned necessities or just because they `fancy` something. By offering a 1 hour delivery service, Tesco will be able to tap into this necessity as well. According to Tesco online MD Adrian Letts, Tesco is able to deliver anything within an hour, no matter if it is something essential the customer has forgotten, or the missing final ingredient that has been overlooked. The main idea behind this new approach is providing the customers with the option to buy the way they wish and that is most suitable to their needs. There is also the possibility of customers using a slightly cheaper two hour delivery service - the difference being from £7.99 to £5.99 through the Tesco Now android or iOS app. Tesco already offer this service in some parts of London and South East, with deliveries made by moped. The delivery part of the new service is set to be undertaken by the British start-up company, Quequp, who has over 2000 self-employed couriers on the gig economy. 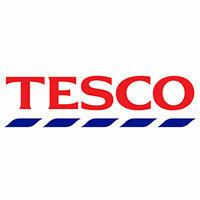 This shows that Tesco is a major client of the company and this could be a great chance for them to grow. The co-founder and head of product to Quiqup, Tim Linssen, commented at the time of the roll-out in London, that they are more than happy and proud about partnering with Tesco in order to provide the logistics and delivery services for the last mile for Tesco Now. This will allow the citizens of London to save precious time for more important things. As Amazon increase their hold on the online groceries world, it is important that other supermarkets react in a positive way. And this move by Tesco seems to be a great first step.